One of the most popular posts on our blog is “How to avoid early termination charges on card machines”. Many merchants have been in touch with us as a result of this article, sharing with us their tales of woe and the unexpected fees which they never expected to suffer on termination of their terminal contracts. Sadly, the point we constantly have to re-iterate is be sure to read your contract in detail at the start before signing. That is the best and only sure-fire way to make sure there are no nasty surprises. This week we were sent a copy of a Payzone contract from a merchant who got a few nasty surprises when he tried to terminate. We all know by now that terminal hire contracts contain a “minimum period” during which the termination fees are punitive. After the minimum period is over you can normally terminate with little notice and pay no termination fee. Not so with Payzone!!. Once the minimum period is finished the contract automatically extends for a further period of 12 months (the “extended period”) and if you terminate within this period then termination fees also apply. Furthermore, at the end of this extended period, the contract automatically extends again for a further 12 months and termination fees are still payable within this second extended period. This automatic extension continues ad infinitum every 12 months and termination fees are always payable. The only way to avoid termination fees is to serve a notice of termination with at least 2 months notice before the expiry of the minimum period or an extended period. So, a very slim window in which to submit your termination notice and avoid a termination fee. This is where the disgruntled merchant who contacted us was caught out. He said he was advised by the original Payzone sales rep that he could terminate at no cost with 30 days notice after the end of the minimum period. When he did so he was advised that he had missed the window for termination which actually expired 2 months before the end of the minimum period and his contract had now been automatically extended for a further 12 months. He now has to wait a further 10 months to submit a notice of termination and avoid termination fees. Readers of our blog will know that the market norm for early termination fees is that you should expect to pay a sum broadly equal to your monthly terminal hire for the remainder of the minimum period (some suppliers will provide a small discount). Not so with Payzone!!. So suppose you paid £15 per month for terminal hire with 10 months remaining on your contract minimum period. With most providers you would pay an early termination fee of £150 (10 times £15). With Payzone the termination fee is £490 (10 times £45 plus £40) which is more than three times higher than the market norm. 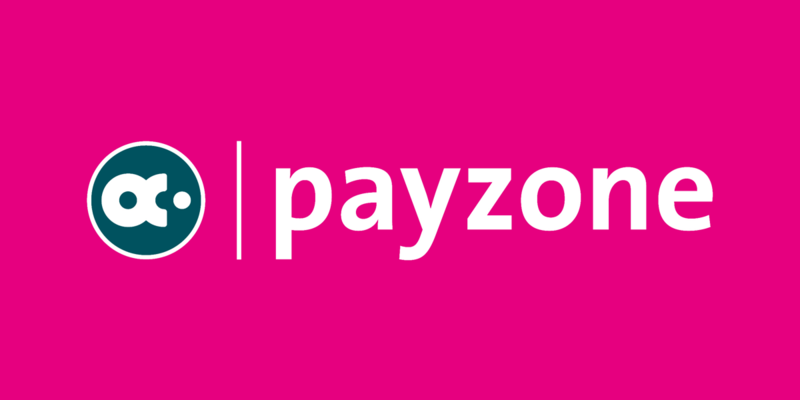 Don’t confuse Payzone’s Non-Use-Charge with the minimum monthly service charge which all merchant account providers charge, they are two totally different charges. In the Payzone contract we read, the minimum monthly service charge (called the “Standard minimum billing charge per month”) was £20 and noted on the Merchant Service Charges schedule. The Non-Use-Charge of £30 is noted at clause 16 – Other Charges List. Look out for what happens at the end of any minimum period – does the contract automatically extend and for what period? When can you submit a notice of termination – any time or only in a narrow window? How is any termination fee calculated – remaining monthly terminal hire payments or are there other additional costs added on top? By all means ask these question of the sales rep but please, please do not take him at his word when he answers. It isn’t rude or unreasonable to demand that he backs up his answers by showing you where in the contract these points are covered. Any sales person worth their salt will not be insulted and will be only too happy to point this out for you.